Cue Joaquin Phoenix displaying his downward-pointing thumb. 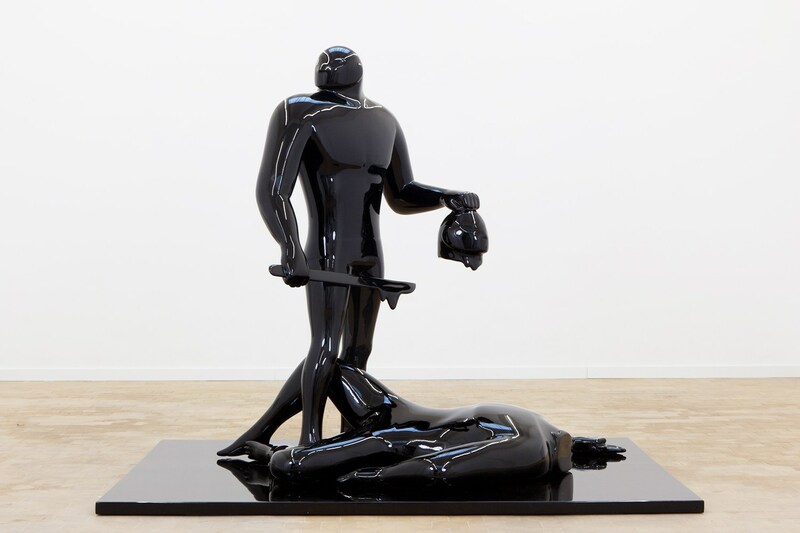 Cleon Peterson's latest sculpture, The Judgement, depicts one of his signature barbarians moments after decapitating an enemy. Like many of his previous 3D work, The Judgement is a life sized sculpture. Exact measurements haven't been provided, but we're assuming this stands six or seven feet tall. The backward glance really sells this piece and provides hints at a narrative. You'll have a chance to see it for yourself, but only if you're in Belgium, home of PLUS ONE Gallery. Be there on February 4 specifically for the opening reception with Peterson in attendance. His solo show at PLUS ONE runs from February 4 through February 20. Check out the full details here.